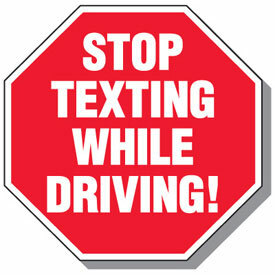 NPC is working both independently and as a member of the DNT TEXT N DRV Coalition to pass legislation making texting while driving a primary offense. Currently, Florida is only one of four states in the country that does not have such a law, yet it remains #1 in the country in bicycle fatalities and crashes. NPC continues to actively support passage of the Vulnerable Road Users legislation. Go to Action Alert! To find out what you can do to help. Collier County has the highest percentage in the state of people who have a bicycle as their sole means of transportation. Most often these are service workers who ride significant distances to work on busy roadways before sunrise and after sunset in dark uniforms. A 2014 study by the Collier Metropolitan Planning Organization identified this segment of the population as the one most frequently involved in bicycle crashes and fatalities. In order to prevent accidents and promote safe bicycling, Naples Pathways Coalition (NPC) conducts the Lights for Bikes project annually. 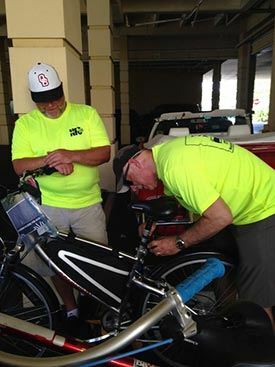 NPC volunteers go to worksites and install lights and provide safety gear and language appropriate information to commuter cyclists whose only means of transportation is a bicycle. The installation is accompanied by a short safety presentation that can occur during a staff meeting. Employees do not have to take time off work to benefit from this project. There is NO CHARGE to have a Lights for Bikes team come to a business. Naples Pathways Coalition conducts the project as a community service, and it is underwritten by sponsors who support NPC’s mission to create safe, bikeable, walkable communities in Collier County. To Volunteer with this program, please email Michelle@NaplesPathways.org. For more information about the Lights for Bikes project, contact Naples Pathways Coalition Executive Director Michelle Avola at Michelle@NaplesPathways.org or 239-777-7718. Working in conjunction with Safe Routes to School, Collier Transportation Safety Team, and Pilot Club International NPC travels throughout the county presenting bike/ped safety rodeos for elementary and middle school children. Kids on bicycles learn the ABC bike check system, have their helmet s fitted properly, and tackle an obstacle route designed to teach basic biking skills like turning, breaking and stopping. Middle schoolers glued to their cell phones are timed on a walking course with and without their phones and are challenged by Nerf cars and other dangers that illustrate the hazards of distracted walking. There are lots of other games that are fun but also enlightening. There is NO CHARGE to have a traveling rodeo come to your school or neighborhood. Naples Pathways Coalition conducts the project as a community service, and it is underwritten by sponsors who support NPC’s mission to create safe, bikeable, walkable communities in Collier County. 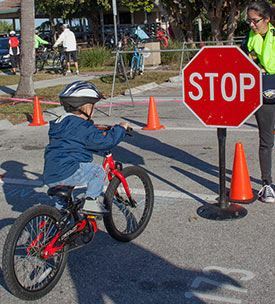 For more information about the Traveling Bike/Ped Safety Rodeo for Kids, contact Naples Pathways Coalition Executive Director Michelle Avola at Michelle@NaplesPathways.org or 239-777-7718.